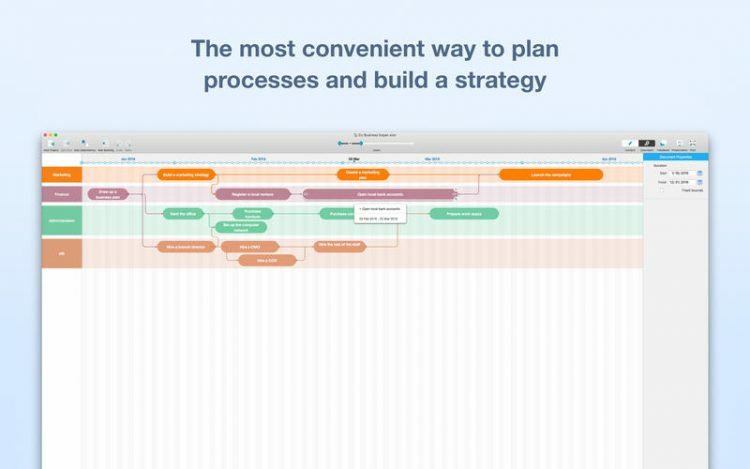 KeepSolid is Giving Away 'Roadmap Planner' Project Manager for Mac for FREE! Roadmap Planner is a very well reviewed project planning tool, and for the next week KeepSolid is giving away the Mac version for free! I have not spent much time with the software yet, but what I immediately liked was the visual feel and interactivity of the GAANT charts, which look like a hybrid between a traditional project planning tool and a ‘mind mapper’. Since the latter has become very popular, it makes this a more visually approachable way to present project information. Head to the Mac App Store to grab Roadmap planner for free!